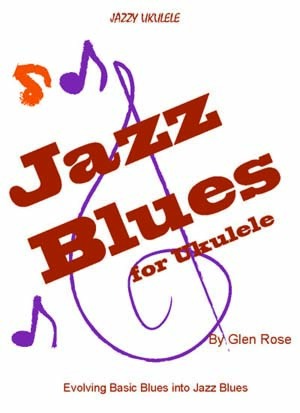 Get your ukulele to cry out with some jazzy blues sounds. With just a few, easy-to-make jazz chords and patterns, you’ll learn how jazz players create that cool groove when they get together to jam. These hip jazz blues chords and patterns are fun to play and jam on, and have a more sophisticated sound than the usual three-chord blues. Get new rhythm ideas for the jazz blues too. This book is not generally for beginning ukulele players unless they have previous guitar experience. The ability to play simple bar chords or be willing to try is all that is necessary.